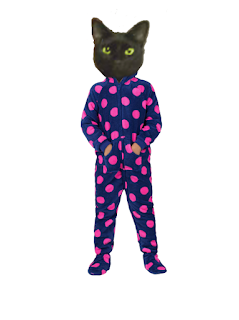 Put Your Paws In Da Air! OM NOM NOM!!! 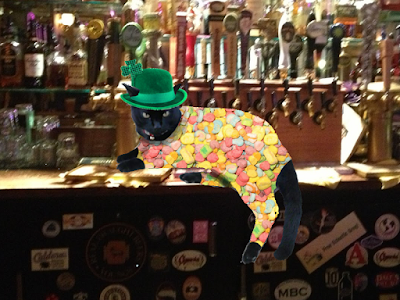 'nip Baileys for St. Patrick's day! 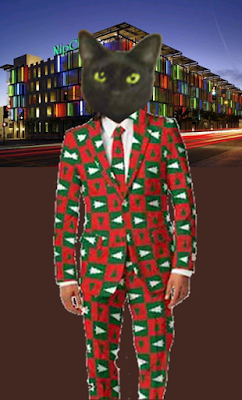 Dis my new #CatMasEve suit. I wore it for Catmas in July #nipclub. 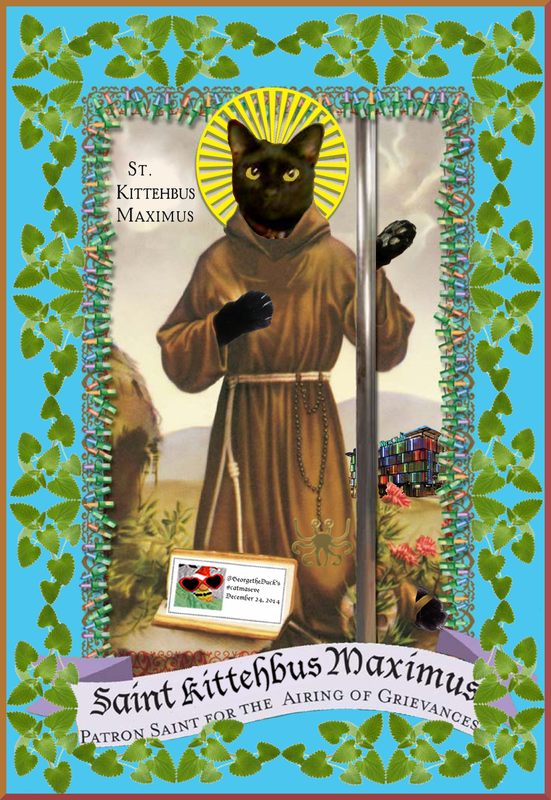 Purrrr I'm St. Kittehbus Maximus, Patron Saint of the Airing Of Grievances. 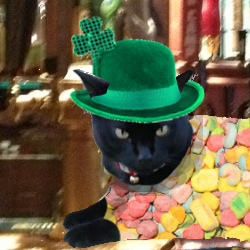 Dis my Lucky Charms Marshmallow suit from St. Paddy's Day #nipclub. 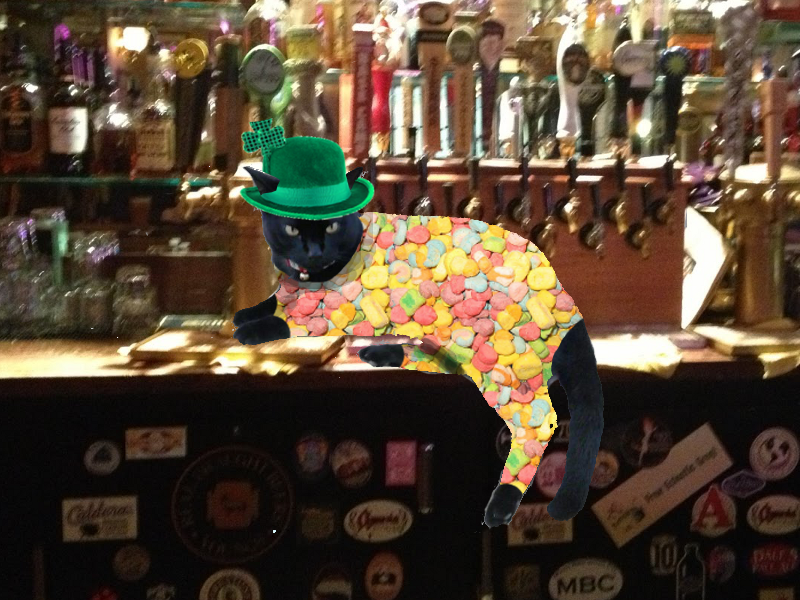 I am a black DSH cat. 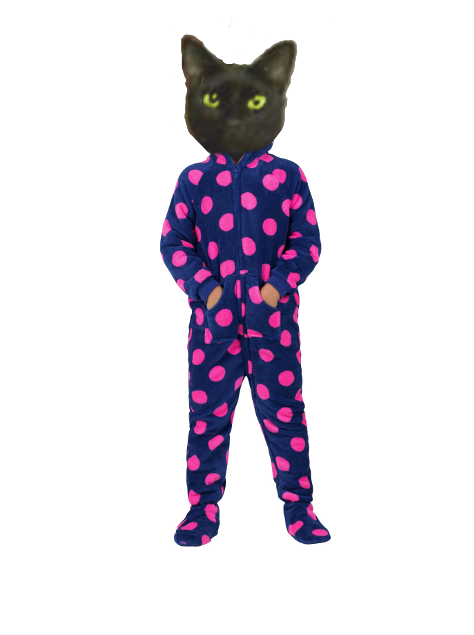 I live with the lady, my daddy, and my sisfurcat Ragamuffin. My ducky's name is Sir Francis Duck. I was named after the Lynyrd Skynyrd tune.